Back again with this week’s countdown. . . . 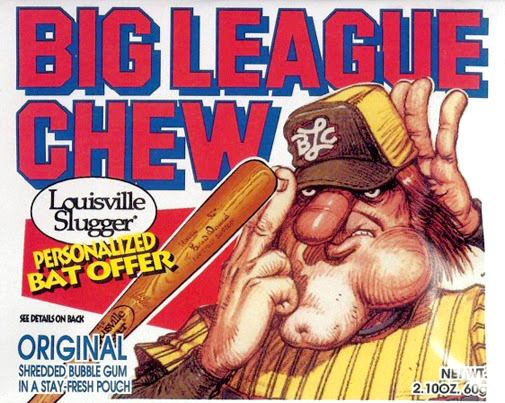 This week: Top 5 Candy of the 80s. This list was actually tough to narrow down to just 5; there are just so many candies out there that were memorable from the 80s. Keep in mind that not all of these candies were created in the 80s, but they all had a large presence on TV and in the mouths of all of us 80s survivors. Bling Bling! It’s a sucker! It’s a Ring! It’s a wearable sucker ring! 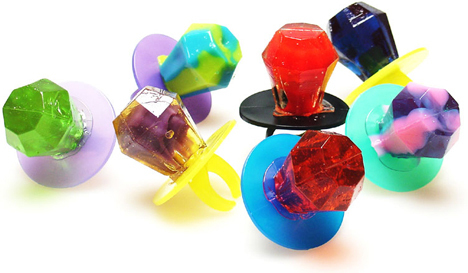 Ring Pops were made for kids that were too lazy to hold their lollipop sticks. 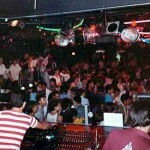 As a young buck growing up in the 80s, typically, boys couldn’t pull off the ring pop. I always held on to the hope that there would be “Ring Brass Knuckles” or “Ring Middle Fingers” – something tough that screamed “Whoa, don’t mess with that tight rolled jeans, Eastland shoes wearing, Vuarnet France shirt doting dude!” I’m still waiting for those! And, secretly, in the privacy of my own home, I still like to peg leg those Lee’s . . . just to reminisce. 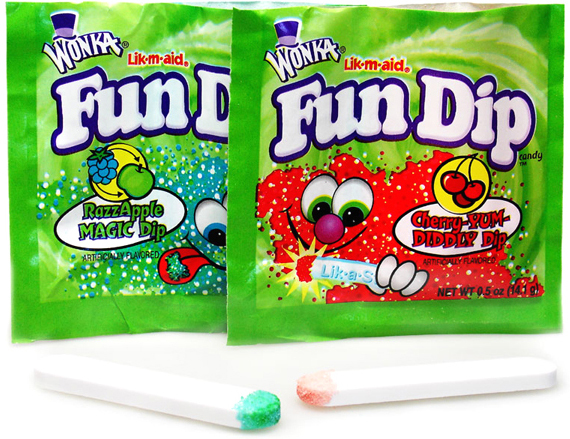 Fun Dip (previously called Lik em Aid) was what would happen if you stapled 3 packs of Kool Aid powder pouches together, ripped off the top, and were given an edible piece of chalk to lick, dip and enjoy. It was colored sugar — and you ate it raw. There was no getting around what it was. It’s like Fun Dip was just rubbing it in the faces of parents across the country. “Look Moms and Dads . . . your kids eat sugary sweets all the time . . . cereal, cookies, etc. . . . So, rather trying to deceive you that this stuff is actually good for you, we’re just going to admit that it is colorful sugar in a nice little pouch — that comes with a sugar stick to enhance the sugar effect if your kids don’t get enough sugar from the sugar itself.” Must have worked, because my kids are eating it as we speak. They have their baby teeth still — they are going to fall out anyway. Taste the Rainbow! Skittles seemed to me to be M&Ms for the lactose intolerant. Same size, same shape, nearly the same monogram — just fruitier. You could pop a handful of those bad boys in your mouth and be drooling rainbow colors onto your Trapper Keeper at a moment’s notice. 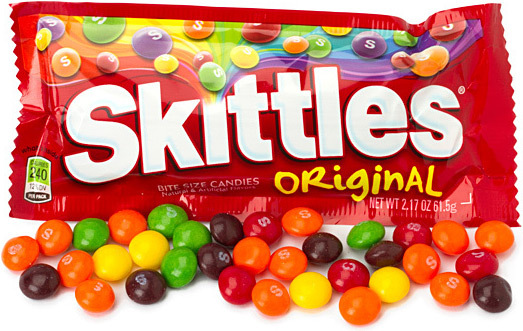 Still around today, Skittles continue to fly off the shelves. Incidentally, those little candies also flew out of my hand, at the head of my 5th grade teacher. I thought a head full of gray locks would deflect the soaring sweet and go undetected. I was completely wrong. 2 flavors . . . 1 radical box. It was tubular . . . totally. 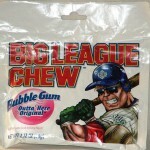 I loved those things. So many times I would find myself at the supermarket check out lane, trying to decide between all those confectionary choices. 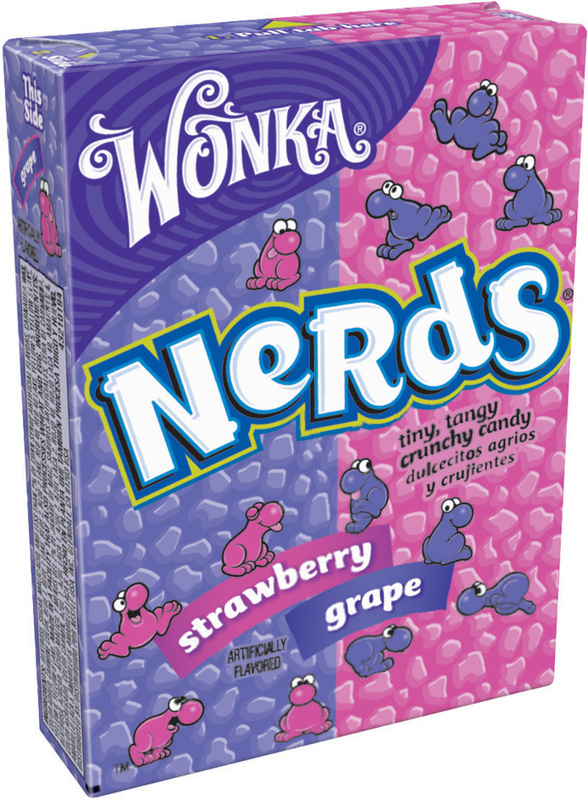 But Nerds offered me a box with 2 different sides to choose from. 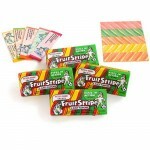 I could get Apple Coated Watermelon and Lemonade Coated Wild Cherry. I could get Grape or Strawberry. So many choices, even breakfast became an option with Nerds Cereal. I want to do a special shout out to my longtime friend, Jenny, who gave me the idea for this countdown. I also want to thank her for being my 10th grade crush, (which I foolishly admitted, in ink, upon signing her yearbook) and forging my mom’s name on my Geometry grade progress report I had to turn back in to my teacher – (sorry Mom).